And would use again. He will customize for your schedule. Wonderful. So glad I contacted them..
Great company to deal with – Ajay replied promptly to all email enquiries. We were traveling as two families with children aged 10, 9, 8 and 7 so we really wanted a guide who would spend time explaining the history and stories of these sights – and Imram was perfect. I can’t recommend him highly enough. Patient, a great storyteller, knowledgable, an expert at getting all the best photos, excellent English and a really nice guy. Our Guide was most knowledgeable of the site here in Agra. Heanswered well of our question, informed us of many details and made our visit to all Sites enjoyable and memorable with the knowledge we will take away. Started well when our driver Zari waited for well over an hour when our flight from Rome was delayed. Zari great driver and a lot of fun. Met in Agra by Ajay who accompanied us to the monuments, including the amazing Taj Mahal. Was really impressed by the flexibility of both Ajay and Zari. Timetable for our visit was tweaked a couple of times at our request. Visited both rug and marble factories. No pressure to buy but we did My rugs beat me home. Price and quality compared very favorably with Dehli. our guide was very good. He was politeandfriendly. He gave me great advice and he did everything to make my day in Agra a good Time. He was very helpful and had excellent knowledge aboutplace visited. 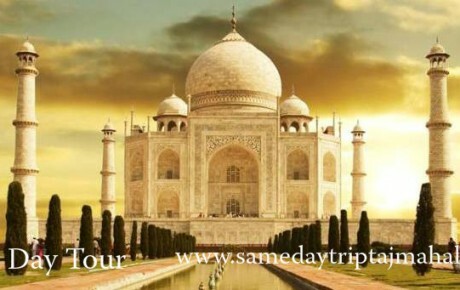 Introducing Samar tours , an Agra based sightseeing tour ageny having expertise in operating Taj Mahal day tour by cab or superfast express train from New Delhi. With due diligence we comprehensively encapsulate every issue through perspective of tourists & due to this reason we design & evaluate our tour itinerary as per their interest. 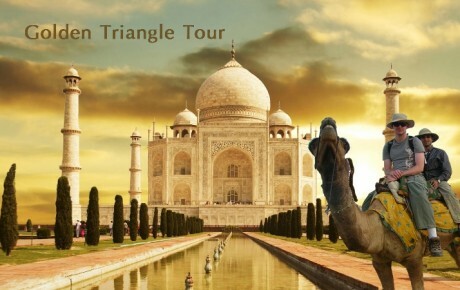 Because of our tourist centric policies in short span of time we have attained good ranking on trip advisor & distinguished stature in Indian tourism arena.For the travellers who are on business trip to India & want Taj Mahal tour on same day we provide tailor made day tour packages like same day trip Taj Mahal by AC Car from Delhi. 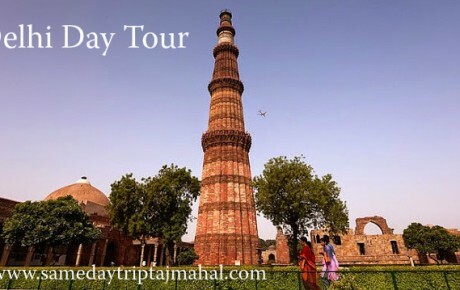 Day tour Agra by cab suit to those corporate travellers who disembark New Delhi airport for their flight lay off for more than 9 hours & also recommended to those desultory corporate travellers who have just one day, from their extremely busy office work schedule, to visit Taj Mahal. 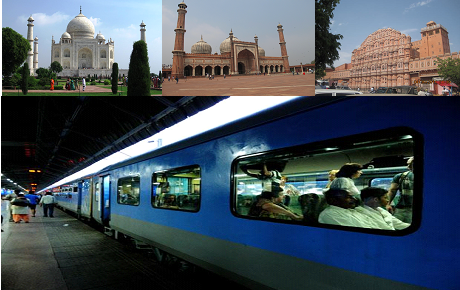 Also with due diligence we have designed Delhi to Agra one day Taj Mahal Sunrise day trip by taxi via newly built yamuna expressway. 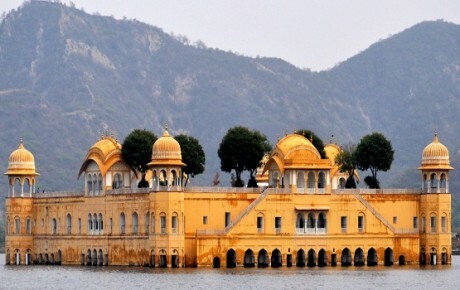 For making reservation with us we do not require any advance remittance, pay us at the end of tour which spontaneously confirm that complete satisfaction of inbound travellers is prime concern for our travel agency. 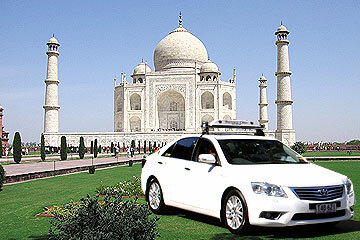 Being reputed transporter arrange we also provide taxi rental service in Agra at various junctions – Agra Cantt railway station, Agra Fort Railway station, Airport & any hotel in Agra as per requirement of tourist. Our fleet consist of Sedan & SUV luxury cars which are being monitored through GPS & equipped with Wi Fi which ensure adequate security of tourist. Our chauffer are well versed in English communication & possess remarkable knowledge of routes. 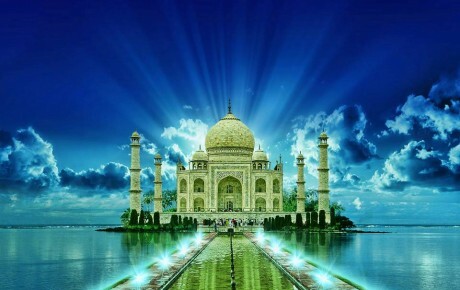 On request we also book government approved tour guides for sightseeing of historical site in Agra.For us traveller’s satisfaction is prime concern & our innovative ideas, strategic insight & unblemished execution always ensure high quality services to every tourist reserving tour with us. For tour company like us, selling a tour apparently means selling our ability to honour our committment to you. 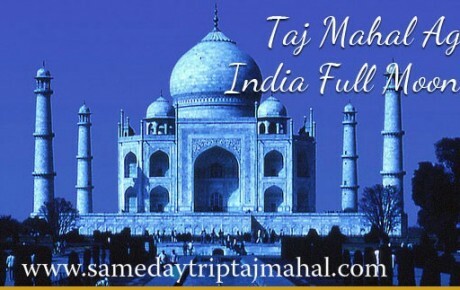 Visit mesmorising elegant beauty of Taj Mahal with us & other nearby ancient edifices of Mughal era, and capture life time immortal memories of Agra City. We invite you to explore this astonishing Agra city, blending its historical heritage & cultural values of Mughal influence.